« I Absolutely Love This! 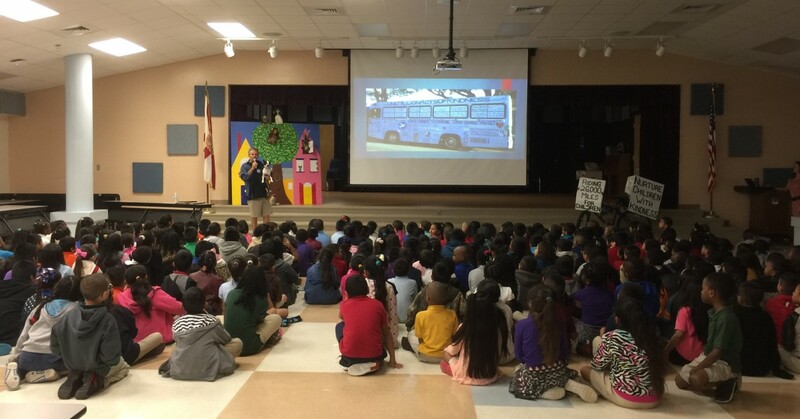 It was a soaking wet drive to and from Village Oaks Elementary school in Immokalee, Florida today, but well worth it. The students at the school were so complementary to both me and Bogart for making the trip to pay a visit to them. They asked so many great questions and had such wonderful insight into kindness. Wonderful things are being accomplished at this school. This entry was posted on Wednesday, January 27th, 2016 at 10:19 am	and is filed under Kindness. You can follow any responses to this entry through the RSS 2.0 feed. You can leave a response, or trackback from your own site.